A fishing vessel had to evacuate one of his sailors in an emergency after he had a serious illness that left him laying down for four days on the high seas. 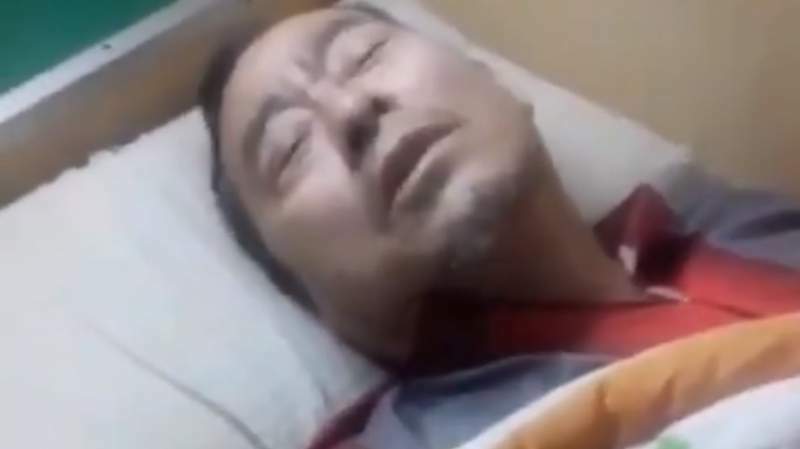 The news began to run on social networks this Sunday 14-4, when a video recorded from the fishing vessel showed the sailor (apparently Chinese) trying to speak to a camera from the cot in which he was trying to recover in a cabin of the boat. As can be seen in the images, the sailor had hemorrhages that had to be treated urgently and had been prostrate for several days. The seaman was traveling in the vessel Soho Maru 58 (registration 0261) of the company Argenova, according to the Chubu website Cholila Online. After several days at sea convalescing, this Sunday the sailor was disembarked in Puerto Quequén and from there he was transferred to the municipal hospital Dr Emilio Ferreyra, where he was referred to the Cruz Azul clinic in the center of Necochea. Your status is reserved. In social networks, the attitude that the captain of Soho Maru 58 had in the episode was questioned. The company for which the vessel was fishing, the Galician Argenova, has been flagged on other occasions for irregularities and accidents. In this context, the Chamber of Shipowners of Fisheries and Freezers of Argentina (CAPECA) analyzed the possible expulsion of the company as a result of an “ethically reprehensible conduct” assumed during the joint negotiations with the Union of United Maritime Workers (SOMU).